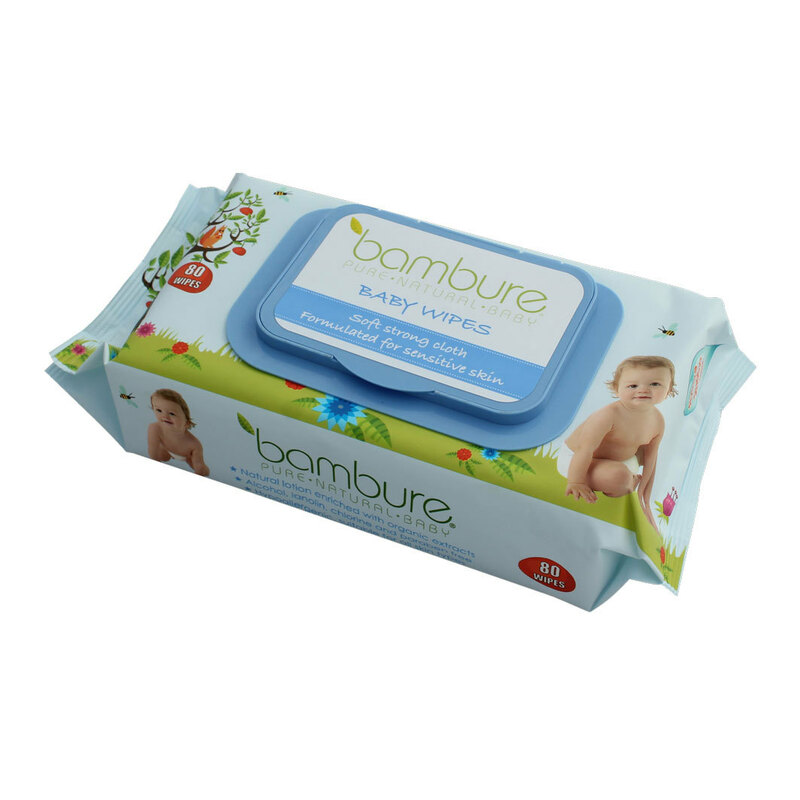 Bambeco Natural Baby Wipes provide parents with a natural option that doesn’t cost the the earth. Each wipe is moistened with organic aloe vera, tea tree extract and de-ionised water to moisturise and cleanse naturally and gently. They are free of alcohol, perfume and lanolin, all of which can aggravate baby’s skin, plus they are free of parabens and other nasty preservatives. 100% Bio-degradable Viscose blend cloth is spunlace to provide maximum strength and performance.